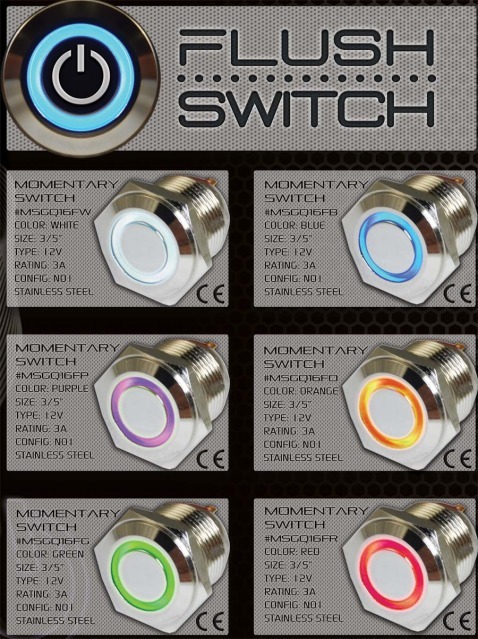 If you're looking for a custom looking switch that also has a look of quality, you've found your solution. 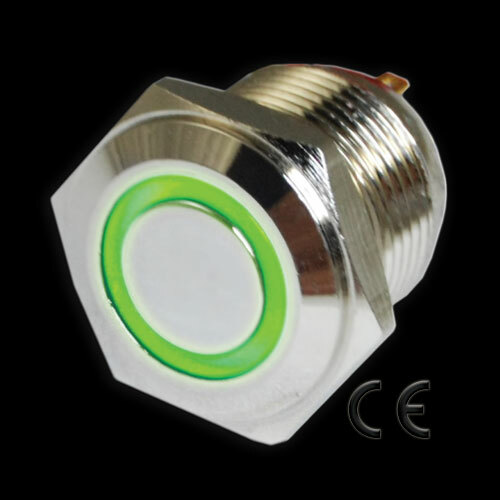 These flush mount momentary switches can control any 12 volt accessory(s) (up to 3 amps per switch) and feature a glowing ring around the button of the switch. Once installed, press and hold the flush mount button once to power whatever is hooked to the switch. simply let go to turn it off. 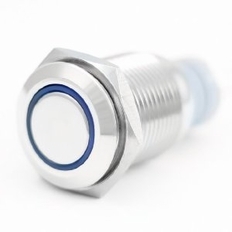 Perfect for controlling a horn, nitrous systems, and more. Available in the following colors: "White 1801-001" "Blue 1802-002" "Red 1806-003" "Green 1805-004" "Orange 1804-005"